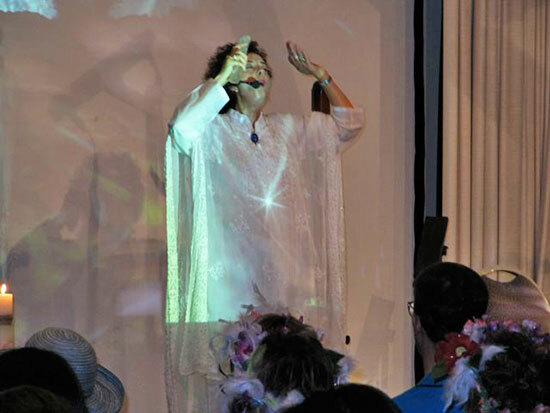 Lia Scallon is an award winning composer, singer and sound healer whose angelic songs and accompanying 'Language of Light' have been transforming lives throughout the world for 15 years. Lia's ethereal vocals have been described as being imbued with the frequency of pure Love. in the 2013 Zone Music Reporter Awards. The context in which this other-worldly tongue occurred strongly suggested that the strange words were imbued with healing frequencies. At the time due to ill health, I had embarked on a path of spiritual awakening and discovery - a period of deep soul searching. 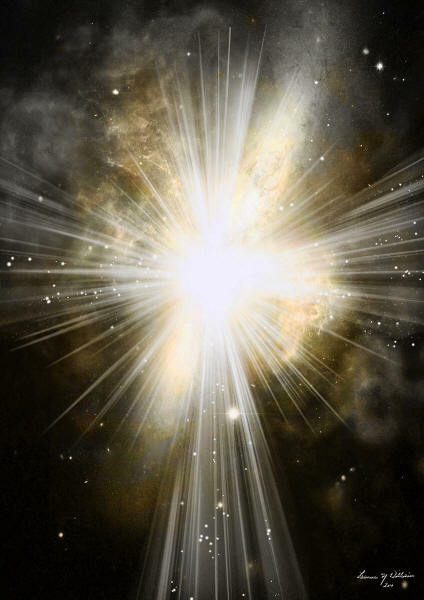 My first experience of the Language of Light occurred during meditation, accompanied by delicate and poignant melodies and a feeling of such pure love that tears fell from my eyes. So, despite the very unusual and unexpected nature of this experience, any fear I felt was superseded by the sweetness of the energy, and the blanket of comfort that descended upon me as the sounds came through. There was a deep, instinctive 'knowing' that the sounds had come to help me heal. As time went by, I came to see the language and melodies as a sacred and profound gift from Source to help me negotiate my way through a very challenging period of transformation. For ten years I kept these experiences entirely private. Everything in my life at that time was up for change, including my career. The driving passion I'd had since childhood for my chosen career of acting now seemed to just drain away, leaving me floundering for something equally vital to replace it. Likewise, the deeply ingrained Irish catholic beliefs I'd grown up with came up for severe scrutiny. As those who have travelled a similar journey will know, that particular inner battle cuts to the quick of ones being, so intrinsically is it linked with ones sense of family, culture and society. ...in the quest to find my own personal truth. The 'Language of Light' remained a constant throughout this time - sustaining me, and giving me the strength and perseverance to stay the course. In the last few years of this 10-year initiation period, I was given glimpses that these sacred songs and Light Language would soon be used to assist others too. I watched the language evolve and expand as I myself changed and grew, and I came to understand that I was bringing through not one but several languages all with the one main purpose, which was to bestow a healing balm on the wounds of my soul. I learnt to trust the energies and myself as the conduit of them. Strangely, I had no compelling desire to seek an English translation of the words, because at some very deep level my soul seemed to know exactly what was being communicated. The waves of compassion and love that accompanied the Language of Light, conveyed that these sounds were a precious gift from Spirit, and that the 'Beings' who spoke through them cared only for my highest good. A quotation I recently discovered in Dr J.J. Hurtak's book 'The Keys of Enoch' now confirms that intuitive knowing. To place these ancient energy words into English, modern Indo-European languages or some other language, would deprive consciousness of a direct experience with the power of the sacred language. Transposing these words would cause them to lose their energy pulse, which is similar to the symphonic song of a musical masterpiece transposed out of its original key into a strange cacophony." In the year 2000 I was asked to take another grand leap of faith and start sharing the healing Light Language frequencies with others. "People will think I'm a complete lunatic! How can I possibly explain what this language is or where it comes from?" A clear and direct answer came in meditation. 'the true language of Sirius, the language from before earthly language was recorded, the root of all language'. 'Diamond Healing with the Sounds of Sirius'. 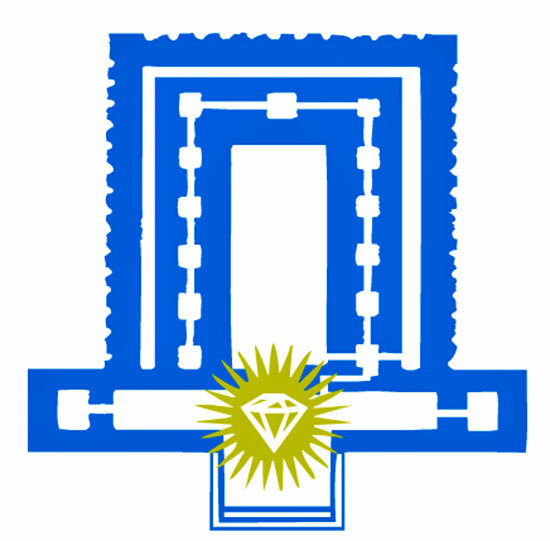 The design for my logo was given to me also - a graphic representing the Holy of Holies of the temple of the Divine Feminine, with a large diamond in the centre. The logo itself would be a visual activator, symbolizing the Divine Feminine energies I was bringing through. The name 'Sounds of Sirius' reflected something else I'd become aware of during the decade of preparation, which was that my soul's original home was not the Earth plane. 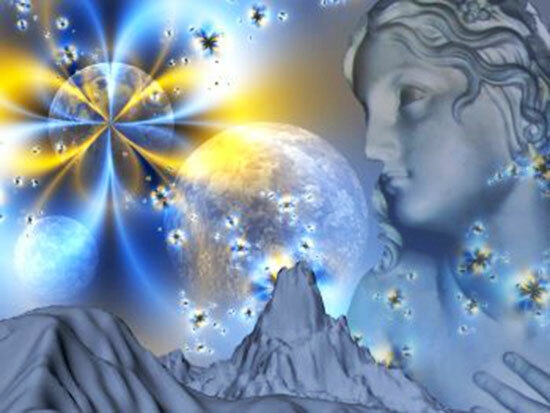 Many extraordinary experiences combined with information via several clairvoyant healers, revealed that I had a powerful connection to the star system Sirius. My choice to be on the Earth plane at this time it seemed, was to assist with the activation and awakening of human consciousness. 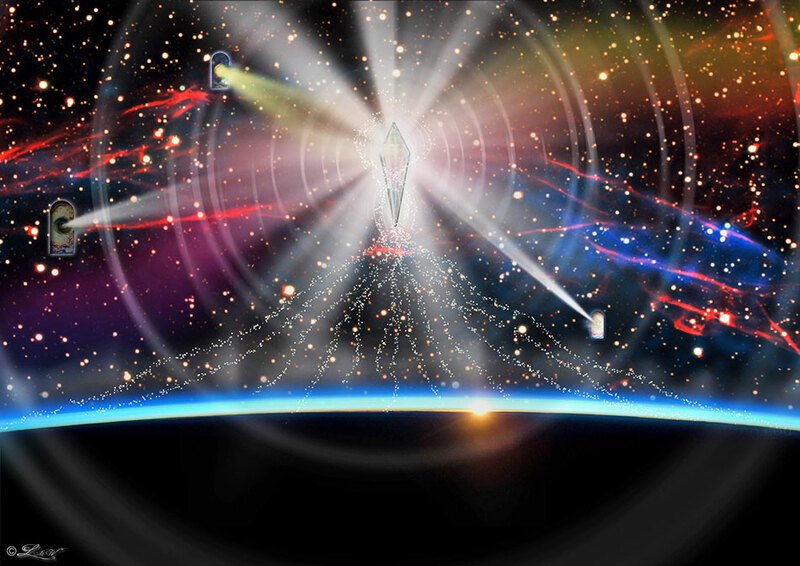 Sirius was the 'Gateway' through which I had entered this 3rd dimension from 'beyond the beyond'. 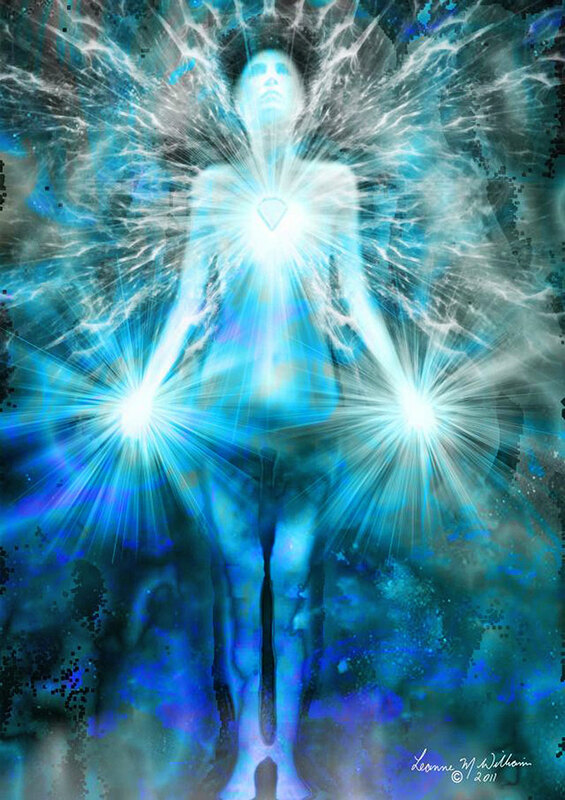 "It is through the gateway represented by the brilliant blue-white star Sirius, that all energy enters your universe - the energy that is your very Soul and Spirit, the energy of your Higher Self'." Far fetched as this may sound, these insights served to give me a clear context for the extra-terrestrial Language of Light. Hebrew, Japanese, Italian, Greek, Arabic and more. Clear evidence presented too that I was not the only temporary visitor to Planet Earth! "The language feels so familiar to me" and, "I felt like I'd come home". The power of the Light Language Sirian songs completely astounded me. Many people would burst into tears instantaneously upon hearing them, describing their huge sense of relief that someone finally understood them. Some people saw waves of color, including colors they've never seen before. Increasingly now, people see numerical or geometric codes descend before their eyes or tumble through their body. Other people feel their whole being vibrating, pulsing and emanating Light, and many experience physical and emotional and spiritual healing. Each person is affected in a unique and individual way. What I've come to understand is that these sounds carry powerful Codes of Light that seem to act as keys to unlock doorways to the subconscious and the soul. For many years I was kept in isolation from others of my kind. Difficult as this was at the time I'm now very grateful for it, as I believe this was Spirit's way of keeping my channel 'pure'. And when I did begin to make connections with members of my soul family it was joyous! Fellow Starseeds whose experiences reflected aspects of my own journey, and wonderful books of channeled information began to appear in my life. These all served to strengthen my own knowing that something remarkable was happening on our Earth, and that we have many Galactic helpers watching over and assisting us. 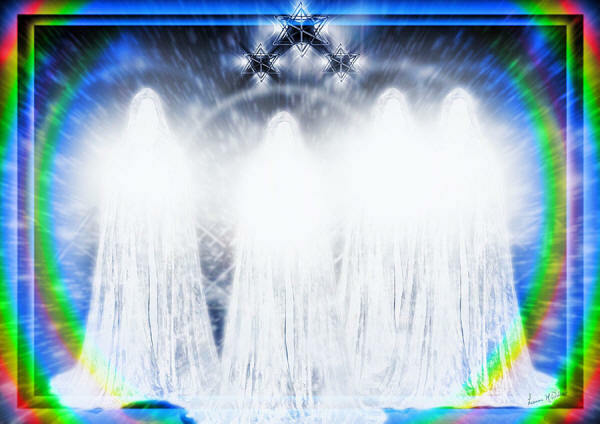 Two of these fellow Starseeds Soltec and Toltec, along with four others, were part of the advance guard of Language of Light decoders. The group were made aware they had been Egyptian scribes in a common past life, when they had first etched the Star Language symbols on the walls of an underground temple. The challenge in this lifetime was for them to recall that information and manifest it again now, as part of the enfoldment of planetary Ascension. 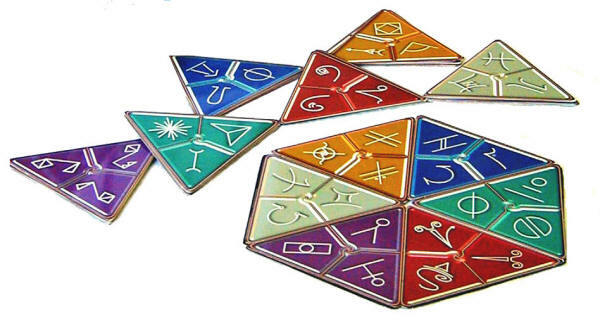 The Star Language symbology is described as being part of the universal language of our Creator, which our higher consciousness automatically recognizes as an expression of the Creator's 'word'. Because these Star Languages comprise a spiritual technology originating from higher dimensions, the results are not limited by the physicality of the 3rd dimension. The symbols are pre-encoded with insights and information pertinent to our personal and planetary Ascension. An English translation of the symbols is provided in the accompanying Star Language Codex. I immediately recognized 'The Star Languages' as another form of the Language of Light. Through the ensuing years I've encountered several other versions too - written and painted as well as spoken and sung. 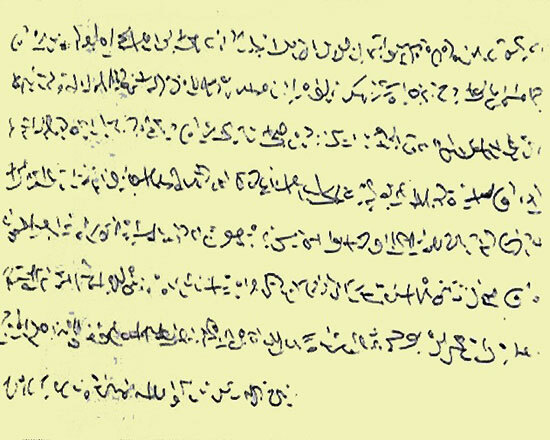 Here is an example of a written Light Language script. Many such scripts are now being readily translated by today's star children who are being born without the amnesia we of previous generations have suffered. 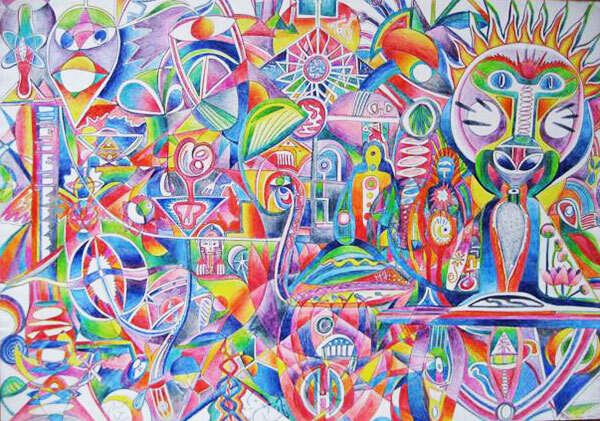 Australian Starseed Tracey Joel, downloads complex Geometric drawings and written scripts. "containing much universal knowledge and harmonically aligned information, which has triggered an awakening of awareness and consciousness in many thousands of people worldwide." After 25 years of being the conduit for the 'Sounds of Sirius', I feel I can now say with some certainty that the over-riding purpose of this particular expression of the Language of Light is to Activate and Awaken. The timing of the activation for people seems to be specifically pre-ordained. I believe this is a form of advanced sound technology. 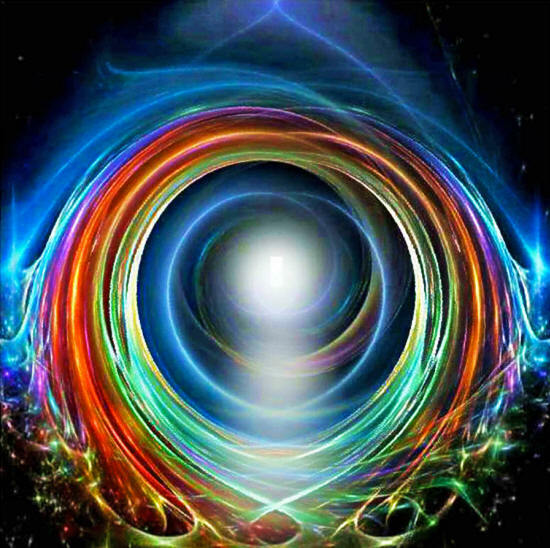 Many people upon hearing the sounds, whether it be 'live' or via one of the ten 'Sounds of Sirius' albums, often spontaneously begin to speak Light Language themselves, the melodies and words being a powerful trigger for soul Remembrance. Having personally experienced other abilities emerge in tandem with the Language of Light, I've come to believe that our human bodies are living libraries - that we are repositories of vast stores of information and multi-dimensional gifts waiting to be unlocked when the time is right. When I allow the Source energy to flow through me uninhibited for example, my body moves in sacred dance postures I've never been taught, with my hands assuming precise mudras and prayer-like positions. At times I chant complex Sanskrit mantras I've never heard before in the deep tones of a Tibetan monk, while at other times the sounds are like a choir of angels singing the Music of the Spheres. When working with crystals my body knows exactly what to do with them, just as it seems to instinctively know the rituals and ways of ancient ceremony. How can this be? Where does this knowledge come from? I believe we all have the ability to tap into the collective unconscious, and specifically into the ancestral knowledge of our own genetic line. We are indeed all 'One' and when we're ready to open up to it, we have a direct, uninterrupted telephone line to the great Creative Source of All that Is. A critical factor in unlocking these hidden gifts and abilities is openness and Trust. Over time, I have learnt to implicitly trust my intuitive Guidance - to answer the deepest call of my heart and take action, often with little understanding of the 'why'. It's when the task is complete that the rationale and significance of what has taken place is revealed. This is challenging way to live but it's also exciting and freeing! Recently, I feel that larger pieces of the jigsaw are beginning to slot into place. More of the grand design is being revealed, or perhaps it's just that I'm now ready to remember! 'They' are showing me more in more detail how the Language of Light works to transform and awaken, and more of my own role as it's conduit. I've always known that the Language of Light is capable of raising the physical and energetic frequency of the listener. Its ability to do this is greatly assisted by our bodies being composed of over 70% water. Thanks to Dr Masuru Emoto's groundbreaking work with water crystals, we now know that as well as being a great conductor, water holds memory and can be imprinted with energy. 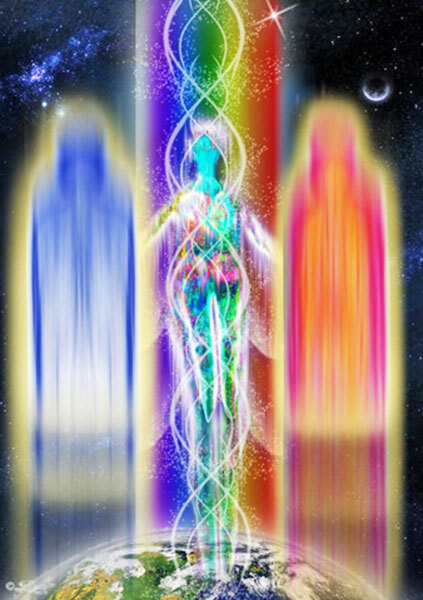 "With the acquisition of new codes coming through in the Language of Light, the waters of your being are becoming imprinted with hyperdimensional blueprints that will awaken and restructure the scattered light filaments lying dormant within you. This is a higher form of order and design than the hexagonal water crystals that you see…it is the sacred geometry of your evolution into light beings. 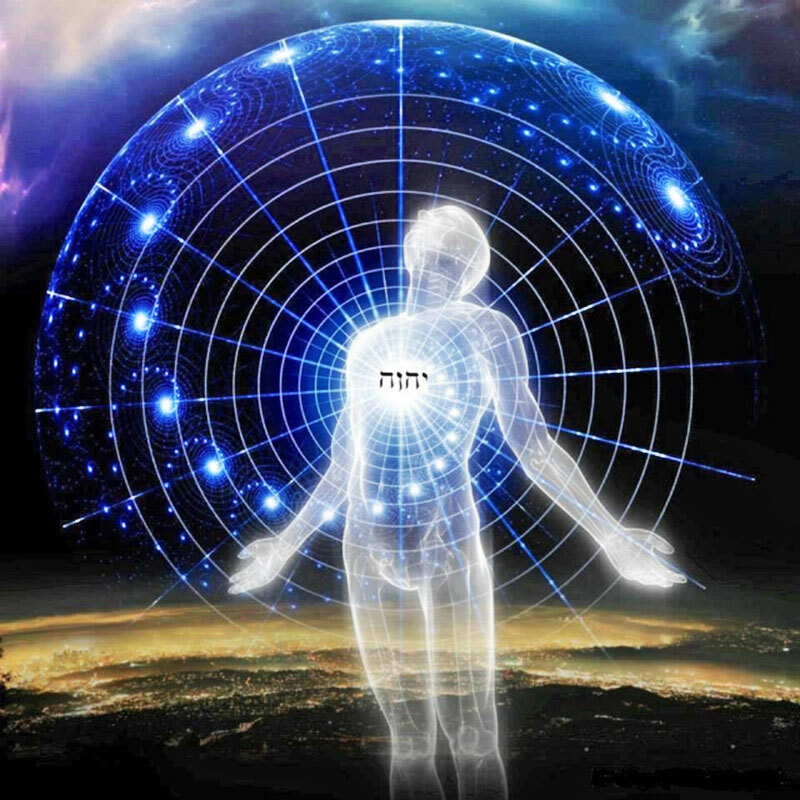 It is important to understand how the cosmometry of light flowing into your beings at this time in your personal and planetary evolution carries an inscription of the higher vibration that is translated into geometric codes and transmitted through the cells of your being - into the DNA - via your cellular bio-water." 'Sirius is the guardian and the protector of your souls. 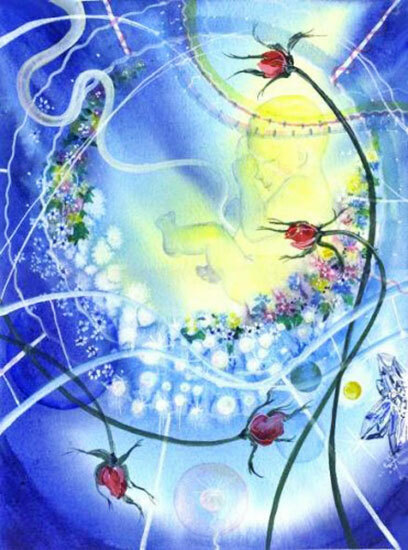 It is the all-encompassing Mother; it is the birth canal, if you choose, of your universe, of your soul's experience into this earthly realm. You shall feel the love of Sirius through the waters of your body and through your emotions. For understand, Spirit communicates to you through feeling and you feel the communication firstly in your soul." Everything is now pointing to the fact that we are at a unique juncture in humanity's evolution. The Language of Light seems to have a crucial role to play in helping us negotiate the quantum shift we are experiencing. Many seers have spoken about the reconnection of the twelve strands of DNA, the activation of our Pineal Gland, and the expansion of our consciousness through the awakening of the parts of our brain that have been lying dormant. It's as if at some point in our evolution our genetic coding was interfered with, and now we are being rewired, re-structured, and re-calibrated, in readiness for a dramatic shift in dimensional reality that will catapult us into the 'New Earth'. Reinforcing the notion that we are being 'upgraded', there is now apparent evidence that our DNA can be influenced and reprogrammed by words and frequencies. Russian researchers joined linguists and geneticists in a study which found that the genetic code of our DNA, particularly in the apparently 'useless' 90% junk DNA, follows the same rules as all our human languages with a regular grammar and rules just like our languages. If this is true, it gives further credence to the transformative qualities of the Language of Light. According to the Mayan Calendar, we have now entered the Galactic age. 2012 saw the completion of many planetary cycles including a major 26,000-year Earth cycle. Our planet thus enters into its next evolutionary phase, securing itself a place as a new member of the galactic community." Author Mary Rodwell, Principal of ACERN, almost daily sees the influence of our star brothers, and how both they and the Language of Light are part of an evolutionary transformation that can no longer be ignored. 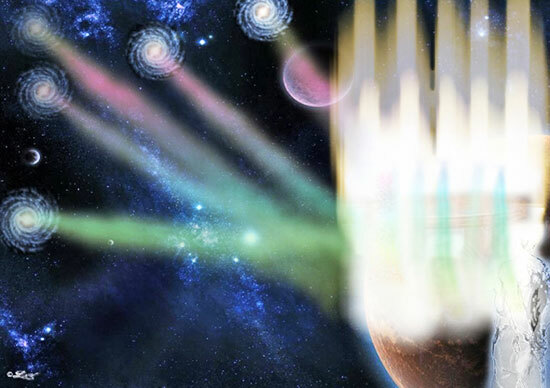 "As a counselor and researcher of individuals who believe they have had encountered star visitors, I know these Starseeds feel very connected to their cosmic Star families. The communication can be astral or physical. 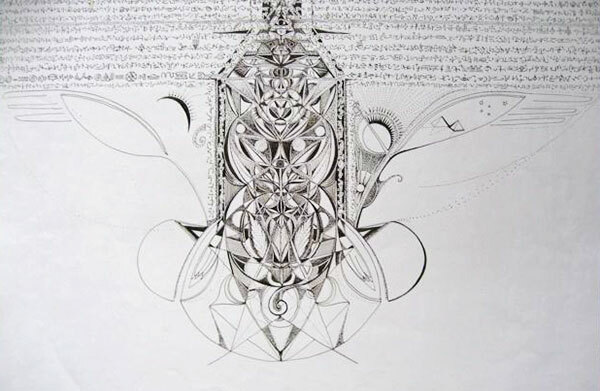 They experience 'downloads' of information manifesting as unusual scripts, complex geometric artwork, drawings of their star families, or speaking in unusual 'star languages'. Many understand this as a Universal language or a language of light. Listening to these 'languages' can trigger new awareness as well as being an instrument of healing. I have known individuals, after hearing the languages, begin to write strange scripts themselves. It seems to be a catalyst for an awakening or a re-connection to another deeper part of the individual. I have been sent examples of these languages, both in scripts and audio from all over the globe, including from small children. One 9 year-old in Northern Europe told me that one of her star languages can heal water. Her mother told me the water tasted quite different after her daughter had spoken to it. I refer to these children as Star Children and they are being born all over the globe." Mary's findings echo with quite uncanny accuracy, my own experience with the 'Sounds of Sirius'. When I met Mary recently a transmission of Light Language came through me. She described the information downloaded as 'compressed files', saying that one word could literally represent libraries of information. She feels these files are the software for the 'new computer' we are becoming as our DNA and our genetic coding are being re-activated. 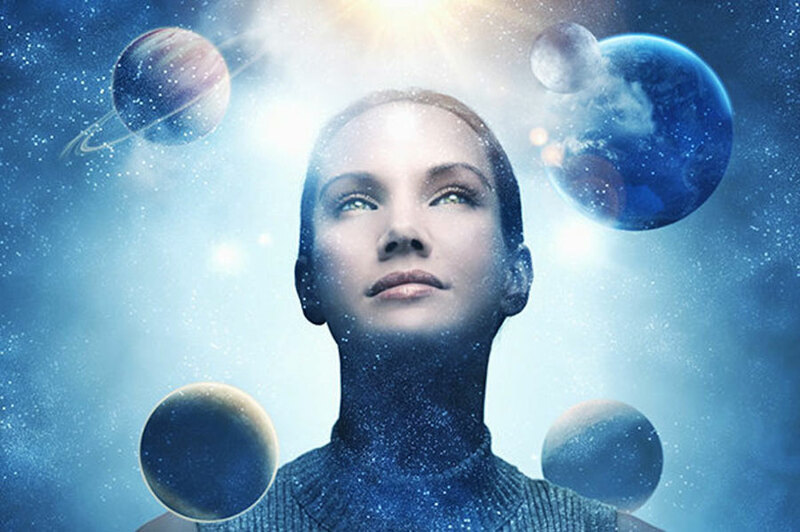 She believes that the Star Children being born now are already hard-wired with this new computer, and that the Light Language 'Sounds of Sirius' is the software they'll need to trigger the full activation of the extraordinary abilities that lie within them. Carrie Ann Smith, who channels a group of beings represented by one called 'Sarrissa', provides additional pertinent information. "We can see what you are trying to do… you are trying to bring through new technologies, but the time, the conditions, are not quite ready for some of these yet. Each of the places that you touch your energy too are like references, so when you touch a place or an energy or more simply an information state, you are able to transcribe that energy through your vocalization. It seems like you are at the winds of change. You have an instinctual ability to connect to an energy and bring forth information. You are connecting to an information state, and when you connect to that information state, you bring forth sound information. So when we observed you attempting to bring forth a variety of techniques for the harmonizing of this time and this plane, you were linking to the locations where those technologies originate. You are connecting to references of energy, references of information - like you are touching your finger to a color and transcribing the color through your language. Your sensitivity is growing, so anywhere you put your attention there's part of this expertise you've allowed to come forth, that will start to spring forth more and more and more information. You have such a great capacity that many domains and the Beings of other realities that hold the domain here on earth, are sighing with relief because there's somebody to hear them." It seems that we are at the very cutting edge now. 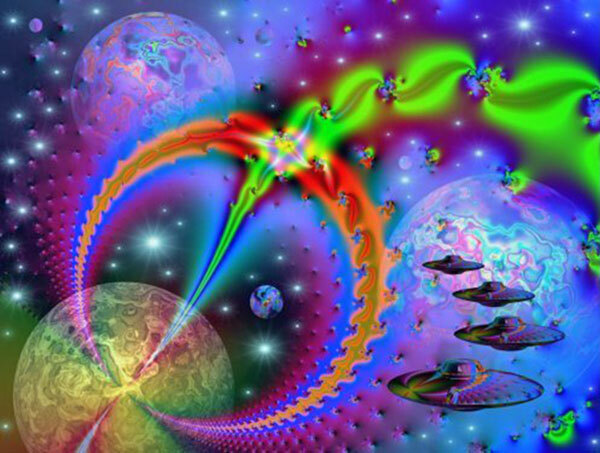 We stand at the juncture of two worlds, straddling the bridge of two very different dimensional realities, one foot in the 3rd dimension and the other foot in the realms beyond the veil of our conscious knowing. What an incredible time to be alive here on Planet Earth! More and more evidence is coming forth to suggest that we are not alone in the Universe, and that there are many Space bothers and sisters out there watching, guiding and assisting us. People are rapidly 'coming out of the woodwork' - from clairvoyants and seers to Air force and Military personal and 'ordinary' men, women and children - all of them disclosing details of their personal encounters with extra-terrestrial beings. The Language of Light is one way in which our Galactic family are communicating with us. It is perhaps also a tool that we as multi-dimensional beings have chosen, to help ourselves awaken to the full knowledge of who we truly are - a Divine spark of Universal and Cosmic Light, birthed from the great Central Source of All that Is. that even I forgot my song. and knew not what it was to be alone. does your soul begin to hear an ancient song? the starry patterns etched within my cells. Mary Rodwell is the Author of Awakening: How Extraterrestrial Contact Can Change your life (2002). I received the following email about a nine-year-old from Northern Europe who speaks about her ability to 'heal' water through star languages. "Poor us. poor kids who come to volunteer; we have such a difficult time ahead of us, a real fight. I am here to help my family 'wake up,' EVERYONE is sleeping." "My nine-year-old daughter speaks 'star languages' to heal water. I live in Northern Europe and have four children. At the time of my first pregnancy, a 'voice' told me my children were not mine. They would only come through me. These children belong to no one. It wasn't until recently that I was aware there were such things as extra-terrestrials. My nine-year-old daughter is a special girl who finds the conventional world and rules difficult. She asks me why isn't she allowed to do things her own way. Cathy has healing abilities and dictated some healing words in an ET language to purify water. I noticed the water actually tasted different afterward. She says that star languages are from a place outside of the Universe. Cathy receives messages in ET languages and understands what they are saying to her. She says that they are important. I showed her your presentation, where a woman does healing and writes several ET languages. My daughter responded with joy and excitement, 'She knows what I have written'." Astounding as Cathy's claim may be, a scientist from Northern Europe is researching ways to energize water and explains how this could be possible. Dr. Ohlson (Ph.D.) is a Swedish scientist referred to previously as coining the term letter people... She is also studying water and its properties. "As a scientist, the spiral formations I've been working with in my water research, such as loading energy back in water, helps healing recharges and strengthens the energy field, the aura. Healing works on a cellular level, whether you believe it or not. The healing from my hands affected the protein binding to a gene P53, which plays a role in turning genes on and off. Rightly used, it could be bliss for humanity in rebuilding our earth." Note: For studies that have demonstrated how frequency and intent can alter the crystalline nature of water see Masaru Emoto's 'The Hidden Messages in Water'. "Cathy doesn't use the word God as she says it's misused. She calls It a 'BEING' who resides in the 'DAY LIGHT.' It is an 'OVER TERRESTRIAL'. Day Light is where we all originate. God is not a man or woman. It has no gender. This Being sowed the seed of Light and Love, and it's where the light and angels live. Cathy has 'helpers' who guide and teach her. One of the beings is called 'Emenoke', a female and is blue, has no hair or ears; her eyes are like human eyes, only bigger. The green guide is male. She has a helper from Day Land (dimensions), who helps her understand what her guides tell her. She says 'my friends are here all the time'." "Cathy's spirit ET friends have given her information in seven books (not real books, but this is the best way she can describe them). The red-brown book she can't open yet, because 'a dragon took the key' from her sometime in the 1700s. All the books contain important information." "What they teach in schools is inaccurate. They program you like computers and shut out your light. There is nothing good about this system. The children are programmed, the teachers just push the keys. The children already contain the learning we need, but they don't allow the children to expand on it and finish because we have to stop and do something else. But education is only one of the ways this happens. Our inner core can be destroyed by too much stress, facing multiple tasks, less sleep and more anxiety. "People need to know we can do anything we desire. When children play by using their imagination, it's not just imagination. When we stop them by saying they can't do this or that, it stops them making it a reality. What they are imagining can be a reality. What at this time we call imagination can be reality. We say it's not possible, but everything is possible. We need to believe it, then we will have this capacity. When we rediscover what we can do, we can achieve our full potential." "It is difficult, because first of all, we don't believe it, then if we believe but still have doubts, this prevents us from reaching this potential. We have to be at a point within ourselves to get in touch with our REAL truth in order to achieve this. There is a certain time we will achieve it, and if one person does, it will spread to other people, and this is the way it will start. But at what time I can't tell you." "The star kids have come to show us the way. They are the ones to start the process, helping the rest of humanity to wake up." Cathy says she is from Evening Land, to help us evolve. When her purpose is accomplished, she will go to the Day Light. We have already been in Day Land, but because we wanted to have more experiences, we came to this planet. The beings in Contact with her, like Emenoke, do not live on another planet. They are located at the 'edge of the universe' in the White Light. "The 'light orb' is sent to protect us. My little brother has a blue orb that protects him." Mary: "You said he will also be a teacher ˗ in what way?" Cathy: "He will be my teacher, as I will be, and he will be home schooled so he will retain true knowledge." M: "What do your guides teach you?" C: "They are teaching me different knowledge so I can teach adults. The danger is that it can be changed and then the true information is lost. Then people get confused and lost by making fun of the star children, or not believing them. Many Star Kids are destroyed by education." M: "How many star kids are there?" C: "Forty or fifty percent of people of a hundred, but many get lost and only twenty percent will remember who they are." "We Have to Wake Up!" "The beings want us to wake up and see reality as it is, to understand how powerful we really are. Some individuals from Day Land and Evening Land have come here to help humanity with the Awakening. It's very dangerous to come here to help because our past life memories can be deleted at birth and some of this is destroyed by society and education, drink and drugs. Those who come here are aware of the dangers and still want to come and help. We are not awake yet." M: "How can we wake up?" C: "We have to increase our energy as we don't have the energy required; it's stolen from us." M: "How can we protect our energy?" C: "At present, we only have point five percent (.05%) of our energy. We need to have one point five percent (1.5%). How might we begin to increase our energy? Don't get angry about small things. Don't speak on mobile phones for a long time. "Something important will happen in the next five years on this planet. The parents have to listen to us. We need to educate the parents." Cathy told me that her purpose here on earth is to get her family to wake up and to protect her little brother because he is important for humanity. By this, she means he will become her teacher when he grows up, as he will, in turn, help humanity wake up. "Mary has BIG ears. She listens. Most adults don't."